Does a future with self-driving electrical cars look greener? In a tech-driven future, will we be able to disconnect? How do we ensure transparency and accountability in a world where “black boxes” make decisions on our health, education, civil and political rights, and many other aspects of our lives? How can we use technology to our advantage five, ten years from now? These, and other questions, were considered by participants in DFF’s “Future-proofing our digital rights” workshop in Berlin last week. Responding to an invitation sent out to our network this summer, representatives from Liberties, Privacy International, SHARE Foundation, Helsinki Foundation for Human Rights, Oxford Information Labs, Liberty, Public Interest Litigation Project, Prototype Fund, Panoptykon Foundation, Bits of Freedom, Global Partners Digital, La Quadrature du Net, and Digital Security Lab Ukraine came together in Berlin and, guided by the energetic facilitation from Aspiration, looked ahead at the opportunities, threats and challenges related to digital rights in the future. Temporarily switching our focus from the digital rights battles being fought today turned out to be an invigorating and inspiring experience. Starting from a positive premise, we first explored what opportunities might lie ahead of us by answering the question “what digital rights do we want to be able to say we have five to ten years from now?” This was followed by our own imagining of a “Universal Declaration of Digital Rights”: how will the rights currently protected in our international human rights system be interpreted and will new ones need to be established over the coming years? We will be reporting about some of these conversations in more detail over the coming weeks in a series of blog posts drawn from and shared by those present at the workshop, to which we invite your input and comments. As mentioned in our pre-workshop post, this future-looking event, which has a long-term horizon, complements the two other types of events DFF supports to facilitate increased connectivity and collaboration across the digital rights field: the litigation retreats, focused on the short-term horizon, and DFF’s strategy meetings, which can be placed on the mid-term part of the horizon. 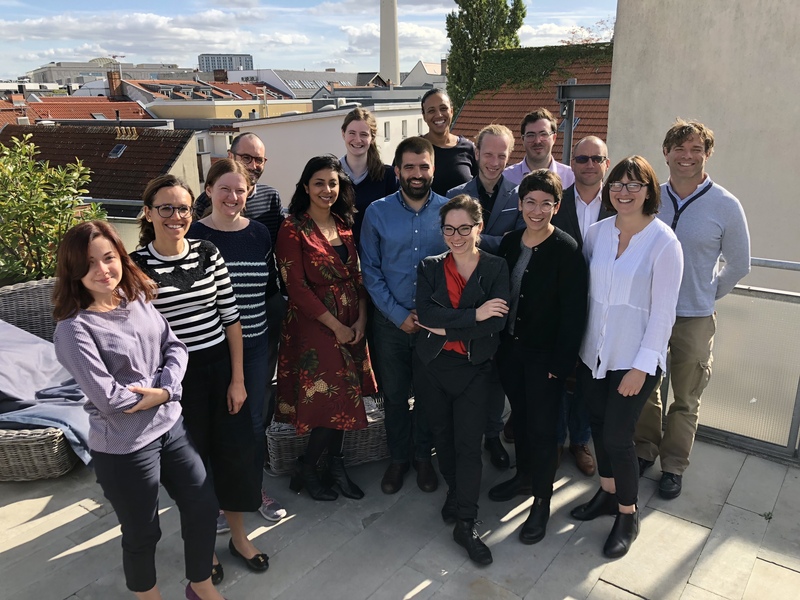 The results of the Future-proofing Our Digital Rights workshop will feed into the next strategy meeting, which will take place in February 2019. In the interim, we will not only share a number of publications, but also host a “virtual design jam” towards the end of 2018 to explore how some of the ideas discussed during the workshop might be turned into concrete action, including litigation. If you want to participate in any of these conversations or have thoughts on future digital rights issues you would like to share with us: get in touch to let us know!